Rhacel Parrenas examines the feminization of labor and migration in globalization. She has done fieldwork in Italy, Japan, the Philippines, and United States. Her latest book, The Force of Domesticity (NYU Press, 2008) considers how processes of globalization simultaneously reinforce and challenge traditional gender norms. 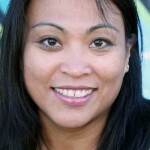 It draws from her research on migrant Filipina domestic workers in Rome and Los Angeles, migrant entertainers in Tokyo, and transnational migrant families in the Philippines. She is currently writing a book on the labor and migration of Filipina hostesses in Tokyo’s nightlife industry. Professor Rhacel Salazar Parreñas is a sociologist who received her Ph.D. in Ethnic Studies and B.A. in Peace and Conflict Studies from the University of California, Berkeley. Prior to joining the faculty at Brown, she taught at the University of California, Davis and University of Wisconsin, Madison. Professor Parreñas is known for her work on women’s labor and migration, speaking on this topic to audiences throughout the United States, Asia, and Europe. Her research fields include gender and feminist studies, the family, migration, international development, and labor. She has written three books and co-edited three anthologies. The Force of Domesticity: Filipina Migrants and Globalization. (NewYork: NYU Press). 2008. Children of Global Migration: Transnational Families and Gendered Woes. (Stanford, CA: Stanford University Press). 2005. Servants of Globalization: Women, Migration, and Domestic Work. (Stanford, CA: Stanford University Press). 2001. “The Gender Paradox in the Transnational Families of Filipino Migrant Women,” Asian and Pacific Migration Journal 14(3): 243-268. 2005. “Between Women: Migrant Domestic Work and Gender Inequalities in the New Global Economy,” Concilium: Revue Internationale de Théologie. 5:2: 28-39. 2002.